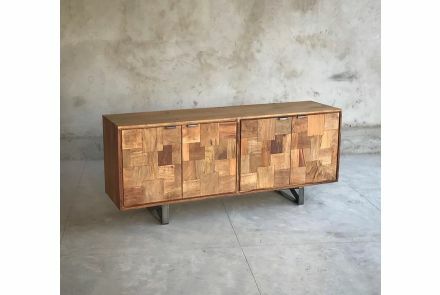 During a trip exploring India, Neil Buckley-Jensen and his wife Aimee discovered the traditional woodworking methods and beautiful furniture that could be found there. This inspired the couple to bring unique furniture to the world and from there, Little Tree Furniture was born. Little Tree Furniture is a team of craftsmen working in both the UK and India. They employ local, qualified carpenters in the UK, while in India, the carpentry yards have been specifically chosen. They choose them based on their colonial tools and the traditional woodworking methods; promoting authentic joinery techniques and the heritage behind British carpentry. With a genuine concern for the future of the planet and protection of the environment, Neil and Aimee created their own company policy which states that all the materials used for their creations should be reclaimed – where at all possible. 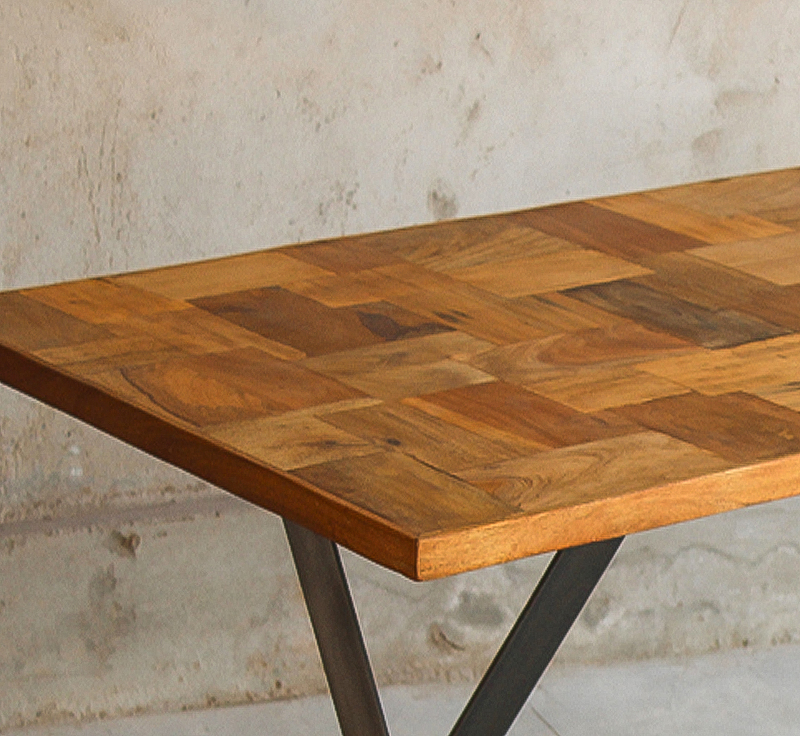 This Hickory Dining table comes from the Hickory collection. 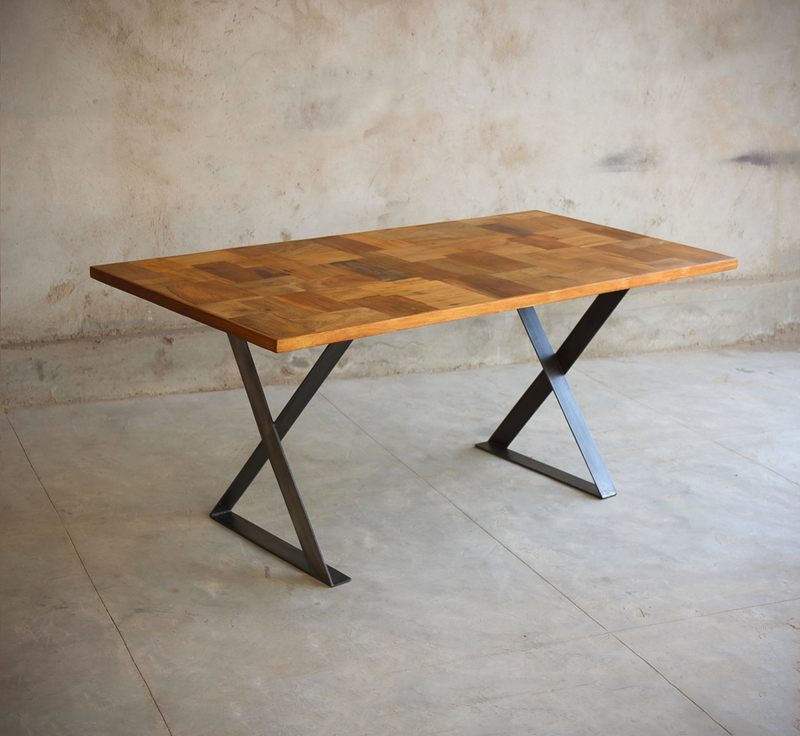 Contemporary modern furniture made from reclaimed materials. This collection is certainly design-led with it's stunning wood patchwork design and is handmade following the same tradition you'd expect from Little Tree - reclaimed materials with intricate geometric laser cut detailing. The Hickory collection beautifully integrates black metals against the warm tones of the natural up-cycled wood, the collection will effortlessly add class and sophistication to any home.